February was quite a productive month at CREEC. The youth group worked a total of 8 days. A great deal of weeding in our demonstration gardens was accomplished. Some may have been a little too weeded, however, it is exciting to get to try new plants in the gardens. In the weeding and pruning of the gardens we were able to make a large variety of all the different plants. The clone table has an abundance of possible plants rooting. Visiting my friend, I came across a planter full of tangerine seedlings planted by her neighbor. CREEC Greenhouse usually doesn’t grow citrus trees because of their high water needs, but with all of my new students and all of our Native Forrest about to sprout this Spring, we needed a lesson in how to transplant sprouted trees. The 24″ by 8″ pot of seedlings came up to 57 baby trees, gallons and 4 inch pots. All the new students know about transplanting baby trees now. We can handle our oaks and toyons with care when they sprout! The demonstration gardens are very nicely weeded and mulched with the exception of the very last bed. We made great attempts but the rain and hail put a stop to finishing. We will just keep weeding(in my Dory voice) The students had a “snow day” when it hailed making ice castles with the 5 gallon pots full of hail from our shade that came down over CREEC’s tables and tables of plants. Our youth group worked very hard to remove the hail from the shade cloth and then stand the poles back up so the plants were safe. James Smith and Roy Rubick Smith came and and helped us with the corner posts because we called. They are heroes! The students also potted up trees and flowers, herbs and vegetables, and clones as they become rooted. There are multiple flats of seed pots sprouting inside and outside of the greenhouse. We will be crazy with seedlings soon! Students check the acorns every work day; no sprouts yet; buckeyes sprouted though! Yabisi Rodrigues, Emyah Moore, Lavell McElroy III, Anthonett Myers, Trinity Hill, Travon Stokes, Eleni Panteleakos, Jazarya Foster, Elijah Murphy, and Nakylah Arnold. Besides James Smith and Roy RubickSmith, we have our Ms Sonja New and her husband, Matthew, and Miylek Anthony volunteering to make CREEC Greenhouse 💞 an even more beautiful treasure under the bridge! There is always lots to do and see at CREEC. Thank-you to all who contribute to CREEC, and to the board of directors who allow CREEC Greenhouse to be such a positive influence on the youth who participate and the butterfly habitats that are grown. 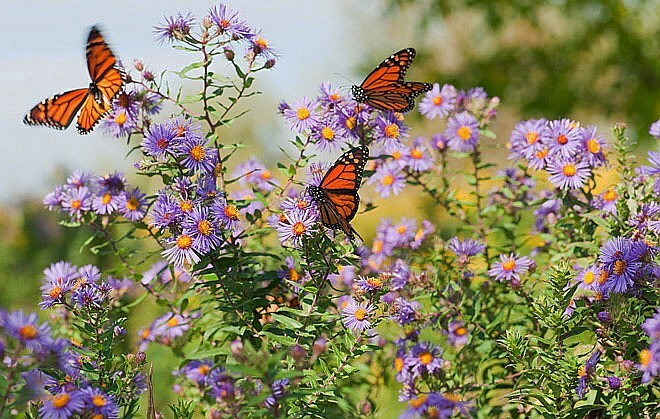 May CREEC Greenhouse continue to educate and inspire people to give butterflies a place to grow long after we are gone! CREEC Youth group has had a very productive October. With new students finishing their community service hours, they have the knowledge to really make a difference. The enthusiasm and energy is infectious as the students get more involved in caring for the plants. We weeded the many beautiful roses, Natives and heirlooms, for nearly 2 weeks! It was horribly pokey, especially so because blackberries came from under the tables to bramble. I told the new students that this was the hardest job we might ever do, if they could manage this task! They learned all of the weeds and many of the self-seeding Natives in weeding those pokey roses. They learned how to remove blackberries from a planting bed as well. We potted most of the trees in 1 gallon pots to 5 gallon pots; they are labeled, mulched and watered under shade recovering from the move. We cleaned off the clone table. The many plants rooting on it were potted up. There were roses, many kinds of herbs, trees, grapes! We are filling it back up again, fast! Acorns of all kinds were collected and planted. The seed pots are put in a large 1/4 inch metal mesh cage so the squirrels and rats don’t eat them. We also planted native cherries, maples, bays, toyons, walnuts and pine tree seeds. It will be exciting to see what comes up! The youth group continues to just keep weeding. The roses were hard, but everyone knows what the weeds are now. Inside and outside the greenhouse our CREEC Youth are turning into compulsive weeders, I am very happy to report. We’ve moved peppers inside the greenhouse, hoping to keep them warm. We are trying to clean out and make room for up and growing seedlings of all kinds starting to grow. CREEC Youth are propagating winter vegetable starter plants for home gardeners. We have Egyptian walking onions, horse radish, sweet potatoes and many kinds of herbs for sale now. The youth group has continued planting around the mulberry tree in the parking lot. We’ve planted purple passion vines on the fence. The butterflies are going to love it! The CREEC Youth Group Winter hours are Wednesdays 1:30 -5:00 and Saturdays from 10:00-2:00. Feel free to stop by and see what’s coming up. There is always lots to do and see. Thank-you for allowing CREEC Greenhouse to be such a treasure under the bridge, allowing all of us the opportunity to learn about the beautiful plants and trees in the Carquinez Region.